When Jolene asked me to be a part of the writer’s blog hop, I had no idea what it was. :) I think I know now, I hope. Join me as I answer four questions about my writing and then introduce you to three of my dear blogging friends. They will also answer these writing questions on their blog next week, so be sure to hop on over. Special thanks to Jolene for including me in on the fun. Here is one of my favorite posts of hers for your reading pleasure. She also hosts #BlogItForward, which is a genius idea to showcase others bloggers and get great content into your hands, through your screen. Consider joining Jolene for #BlogItForward, it is easy and a great way to share love in the blogosphere. Currently, I am writing my first book. Eek! Yeah! This February I launched this site and started getting more serious about my writing. My book is about being a Type A, controller and a recovering perfectionist and how God has given me lots of grace as I learn to trust Him and let Him lead. 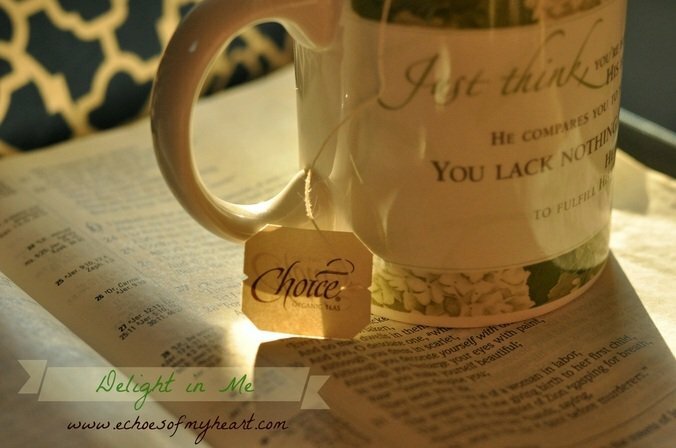 It is my hope that others are encouraged and set free as they “relinquish what is binding them and cling to the One who is truly in control and always perfect.” I am also an avid blogger and keep up two blogs, Echoes of My Heart and Deep Breaths. 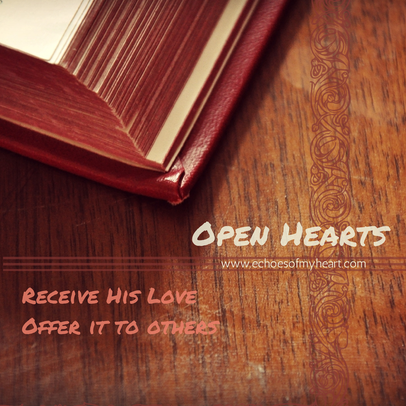 Currently, I am hosting an Open Hearts series with some of my favorite bloggers. I regularly link-up with some of them on Wednesdays (Holley, Jennifer, Beth, Meredith and Rebekah). And I’m looking forward to welcoming some other wonderful women too (Karen, Asheritah and Jennifer). Hmm. This is a tough one. I know many bloggers that I follow who write this way too, but I write transparently and contemplatively. I am a pretty open and honest person (sometimes too much so) and I write that way as well. I’d like to think that I am a deep thinker, at least about spiritual things, and that it shows in my writing. I can be kind of funny and every once in awhile that side comes out in my writing too. 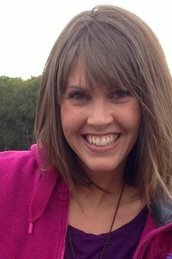 I am a Mid-western girl who lives out a few adventures (living in the country near Amish, dreaming of building a castle on the property behind our house, being a wife, mom, photographer and adoption advocate, and recording a CD). I write about what God is teaching me and what I am learning from the world around me. I write to process, reflect and hopefully inspire others to grow with the Lord. It is my desire to live out Psalm 78, to not keep silent but to tell of His wonders, His power and His praiseworthy deeds. And also Isaiah 61, to bind up the brokenhearted and to set others free. I often write about God’s Word, Adoption, Marriage, Motherhood, Family, and Giving because these things matter a lot to me. I also review books because I like to read and want you to like what you read too. Writing is an outlet for me, especially as an out-going introvert (yes we do exist). It helps me unwind, be heard, and has brought me some wonderful friends. I have no formula, except that I write what comes to mind. Okay, not everything that comes to mind, but a lot of it. I often write in the mornings before the family is up, during nap time, or late at night (like right now). I mostly type instead of write with a pen (unless I am counting up with thanksgiving or journaling). I often participate in Lisa-Jo Baker’s Five Minute Friday prompts. I read the Bible, other books and blogs and find inspiration from them and from daily life. I try and pay attention, listening to life. I process by talking it out or writing it out. Writing is free therapy for me. I find myself as I write. I understand life better when I write. I learn as I write. And so I keep writing….so I can be found, so Jesus can be found. So we can know Him better and grow deeper in Him. Jamie writes honestly, usually in fragments, about her imperfect life that’s covered in grace. 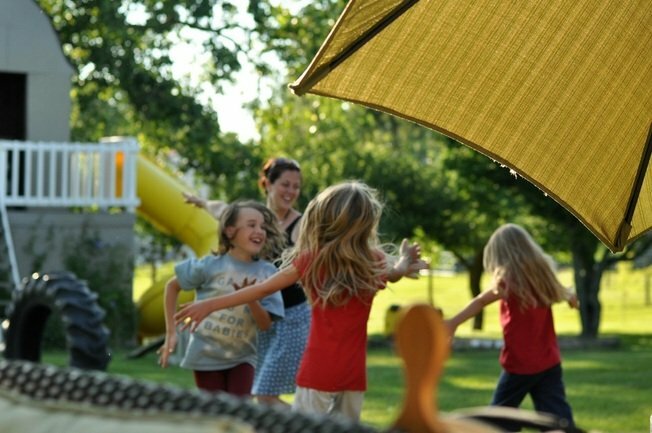 She lives on the edge of balance, managing her roles of working mom, homeschooling mom, wife, blogger and volunteer. Jamie is energized by coffee, Jesus and real relationship. She blogs over at Reflected Me. I met Jamie via Five Minute Friday and #fmfpartysnailmail, and was delighted to host her for the Psalms Series on my Deep Breaths blog. Jamie is a kind soul, a beautiful poet and an interesting writer that you should get to know. Julie is a small town girl, who seeks to live a real and transparent life, as she encourages others on their journeys. She is wife to Bill of almost 22 years, and mom to a 20-year old daughter, and a 17-year old son. She considers being wife and mother to her family as one of God’s greatest gifts. 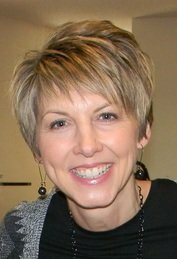 Julie’s life is like one big adventure as she follows God’s leading, both in and out of ministry. Writing has been a love of hers for years, and now she is intentionally pursuing her writing dream. Julie has two blogs, Loving God Loving Others at www.julielefebure.com, and Live Laugh Linger at www.livelaughlinger.com. I met Julie through our friend Meredith’s weekly link-up Woman to Woman. We’d love to have you join us on Wednesdays as we encourage each other with lots of grace and truth. Julie also participated in the Psalms Series with thoughtful insights on Psalm 110. Take some time to read Julie’s blog, you will be encouraged, exhorted and blessed. Kaylene loves Jesus, her husband, and three children. In that order. Her love for black coffee is found somewhere in there. She prefers straightforward truth, even when it’s hard to hear and harder to write about. Kaylene scorned blogging, writing and speaking until 9 months ago, when she was convicted once more, that this is God’s will. Yes, “once more”, because she’s stubborn and strong-hearted like that. Kaylene blogs at Faithful Feat where she writes about being a wife. Not her first topic choice. His choice. The best choice. Her obedient choice. You should stop by. I met Kaylene through the #inspireandgrow link-up on my site. I am intrigued by Kaylene’s Amish roots, as most of our neighbors are Amish, but more than that, I admire her devotion to her family and her willingness to obey the Lord even when it’s hard. Katie, I just love your heart! Yay for your first book!!! 🙂 I must read it! And my goodness, I have a hard enough time keeping up one blog, I can’t imagine doing two! 🙂 You bless me. Thank you for that, friend. Thank Kaylene! Hoping that publishers will feel the same way about my book. Thank you for being a part of the Blog Hop! I loved this- particularly when you write ” I write to process, reflect and hopefully inspire others to grow with the Lord.” That’s pretty close to why I write. Things seem so jumbled in my head, but when I write, it helps me organize, reflect and process my thoughts. Thanks for continuing to be such an inspiration. It’s been fun getting to know you!